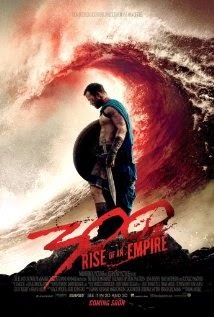 300: Rise of an Empire tones down the WWE-level theatrics we got in 300. It at least tries to tone down on the crazily excessive use of makeup, costumes, and magical embellishments like we experienced with the first go-round, but not much. What it does do is inject into itself a steroidal plot to go with the already beefy actors. From start to finish, this film has considerably more class than the previous film. The events here take place after Leonidas' death, as sort of a sought-after conclusion regarding the fate of Xerxes and his forces, and the long-standing, un-killable morale of the Spartans. Our star, Greek general “Themistokles” (Sullivan Stapleton), would make King Leonidas himself proud. He has a powerful on-screen presence and the acting fervor in a lead roll to make good on every single shot he is in—and that without the benefit of an already established A-list Hollywood name; but this fact – and despite a sizzling performance by Eva Green as Artemisia – the film never reaches our innermost viewer, that little part of us that wants desperately to take something home above what we went into the viewing with. There was almost no reason at all not to like 300: Rise of an Empire. But a sequel to any movie bears the solemn responsibility to bring new life to the franchise it seeks to uphold. Therefore (sadly), this film is to be considered somewhat of a step down from the movie that preceded it.